South Florida/Global-Florida based Animal Hero Kids Inc., a kindness education charity empowering youth to aid all species of animals is partnering with Sublime Restaurant and Bar in Fort Lauderdale, Florida on December 4th at 5:00pm. 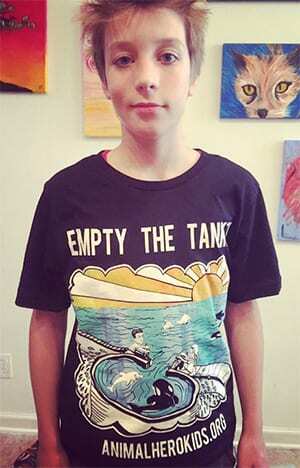 Animal Hero Kids will celebrate the kind actions of young animal advocates ranging from six to 14-years of age who have exhibited amazing kindness to animals through remarkable and newsworthy stories. This event is the culmination of November’s World Animal Hero Kids’ Month. The young advocates runs the gamut from a 6-year old vegan freestyle rapper for animal justice, two boys who have been speaking up against the Yulin dog eating festival and the Hendry County primate breeding facility, and an elephant advocate blogger intent on releasing a chained elephant in India to a sanctuary. Advocates responsible for the Animal rescue stories highlighted in the “Animal Hero Kids Voices for the Voiceless” book will be celebrated as part of the UK, Ireland, Canada and US Global Book Tour. https://animalherokids.org/global-book-tour. Nominations are open year-round for the Russell Simmons Creative Animal Hero Kid/Teen, which honors individual(s) who creates a song, dance, poem, speech, rap, video, or piece of art that inspires compassion towards animals and the Paul McCartney Animal Hero Kids Young Veg Advocate helps factory-farmed animals by promoting kind food choices Animal Hero Kids, an all-volunteer education charity encouraging kindness to all and reaching 30,000 students each year, offers complimentary, interactive, humane education programs in schools across the country and is on the continuous search for nominations for compassionate, courageous kids and teens. The non-profit’s goal is to gift the book to school libraries, each ticket to the event will provide two donated books. “In the four decades I have rescued animals and educated on behalf of animals in peril, I am still constantly amazed by the pure, effective, courage and compassion demonstrated by kids and teens,” says Susan. 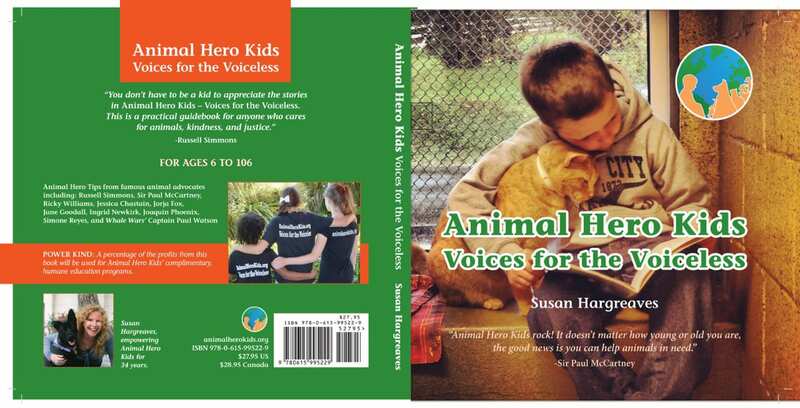 Animal Hero Kids is the brainchild of founder and author of the Honor Award-winning book, “Animal Hero Kids Voices for the Voiceless”, Susan Hargreaves.